Red and black is a powerful combination much loved by artists and fashion designers. The clash between the hot red energy and cool black energy is provocative and exciting. This is also true for shoes, of course. The red and black combo is timeless, but it seems to be a particularly hot trend this fall. 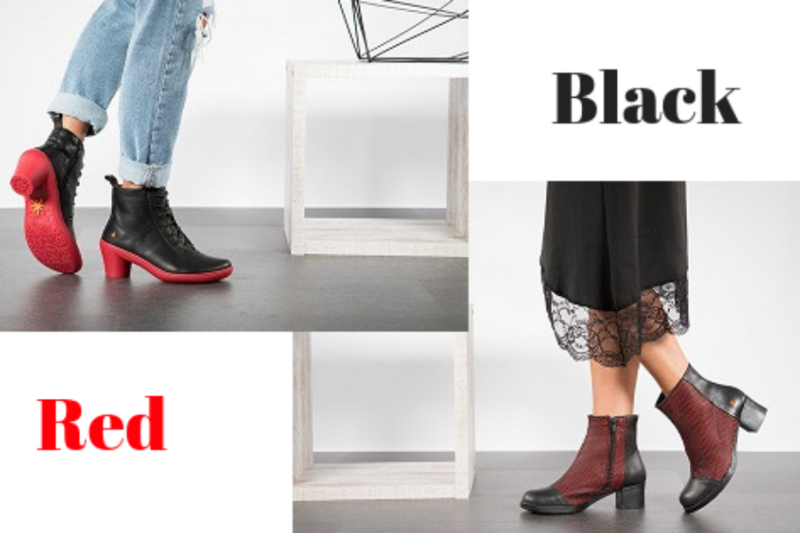 The Art Company, a Spanish brand known for its metropolitan style footwear that comes in a dazzling array of colors, has a particularly attractive line up of red and black ankle boots to offer this season.